During her professional career, Jillian specialised in telecoms acting for a number of the main operators and also acted for institutional banks and investors. 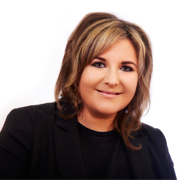 More recently, Jillian has acted for SME clients with property portfolios as well as owner managed businesses and start ups. Outside of work, Jillian is married with a husband and a little boy. Jillian is a board member of a local housing association, having previously volunteered with Skylight Circus Arts in Rochdale.